No one intends to get sunburnt, but periodically it just seems to happen. Generally I am committed to putting on sunscreen, but the other day I ended up in a swimsuit at a pool party in the middle of the Las Vegas summer unprepared. You see where this is going right? I was only outside for an hour and a half, but that was plenty of time to put me on a path towards lobster red skin. When I started to feel my skin constrict I realized what I had done. I knew what lotion I needed to grab to immediately minimize the pain and damage. Lots of companies offer lotions to alleviate the pain and peeling of a sunburn, but Solar Recover – Vitamin C & E Moisturizing Face And Body Cream – 2 oz is legitimately a game changer. The pain from my sunburn subsided within 24 hours of my pool party. The redness started to fade into a tan, and with continued applications I kept from peeling. 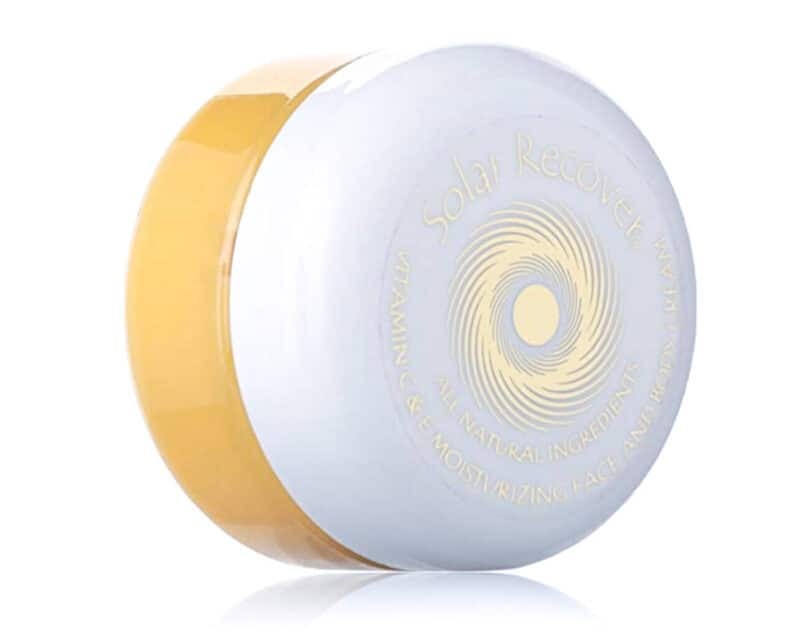 Solar Recover was started by a pro tennis player out of Southern California to help alleviate skin damage from constant tennis matches. They didn’t intend to create an entire business/brand, but their products were so successful the company couldn’t help but grow. I also like the company’s claim that they don’t test their products on animals (only themselves). They are probably best known for their Solar Recovery Spray product, but that one is not my favorite (read my spray review HERE). The lotion comes in a round 2 ounce container, is yellow in color. It can be stored in the fridge for the extra refreshing feel, but doesn’t have to be. Check out the ingredients below! With regular aloe vera I apply to a burn probably 5 times a day to stay moisturized, but with the Solar Recovery Face and Body Cream I only have to apply 2 times a day to be able to feel it on my skin. This lotion provides the same cool refreshing feel of aloe vera, but does not leave the sticky residue. I hate it when my shirt seems to stick to my back because of that residue. 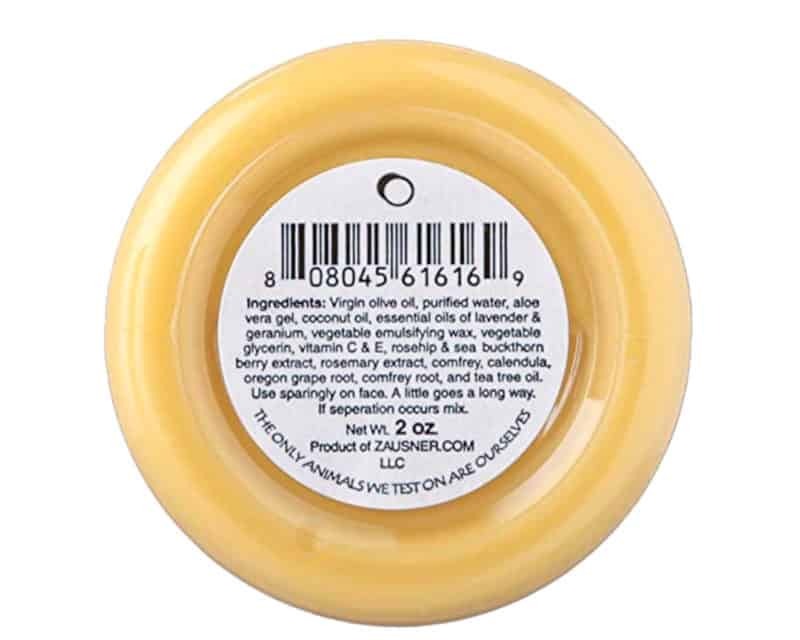 The lotion itself isn’t oily, and also doesn’t leave an oily residue on your skin either. I haven’t done the experiment by leaving half of my burn lotion free while applying this to the other half, but when using the Solar Recovery lotion my recovery time and symptoms are dramatically reduced. With my last sunburn within 24 hours I felt 75% better. Unfortunately it is not as cheap as your normal bottle of lotion or aloe vera. The only size available is 2 ounces. I wish a bigger size was available as it is a pain to have to re-order sooner than I would like. While it may be a little bit more expensive, there is no better way to treat a sunburn. As far as using it for a daily lotion there are cheaper options, but still an excellent way to keep your face moisturized. I prefer it to the company’s Solar Recover Spray.